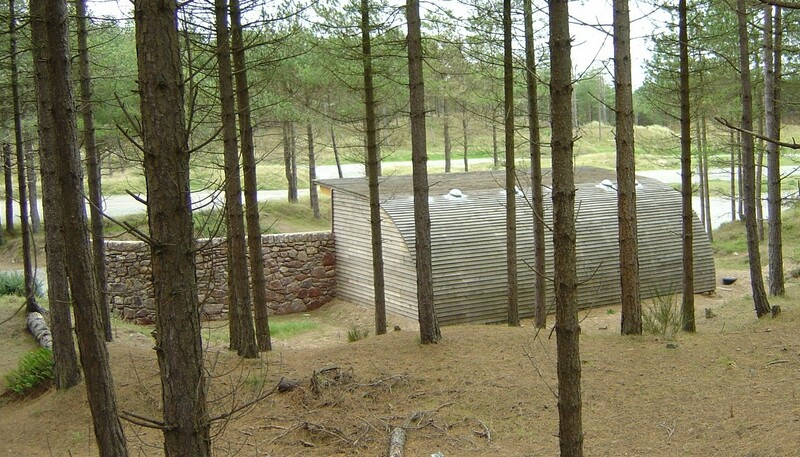 provision of an ecological sustainable solution – designing with nature rather than against it. The use of sustainable, non-toxic materials, low in embodied energy and as local as possible were used throughout. Construction was moisture permeable with natural / passive ventilation. Integrated landscape design with the first Reed Bed water treatment installed on Anglesey. 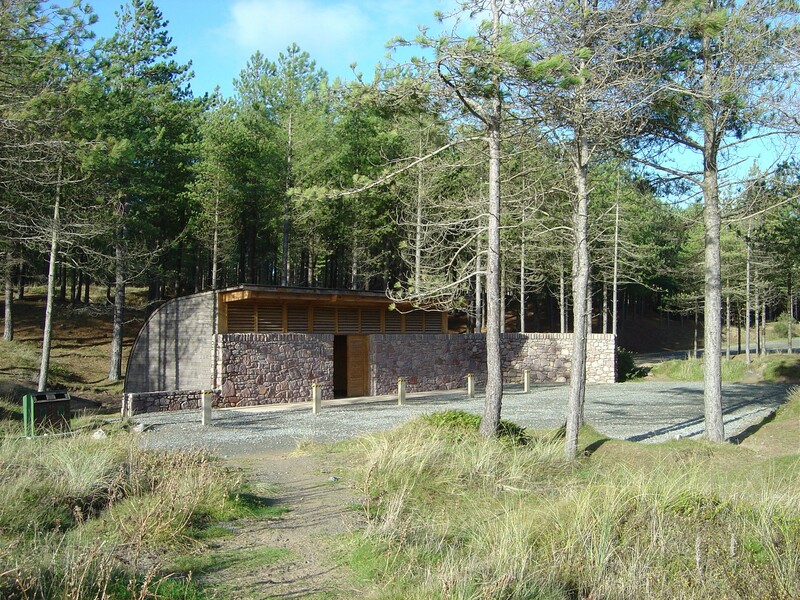 The structure consisted of home grown pine post and beam frames with oak louver vents and doors, welsh slate floor tiles and basin splash backs. Foundation pads were used to minimise use of cement and the building was clad in unseasoned oak.